I’m going to be travelling east in a week to take a carving class from Peter Follansbee! It was pretty much a spur of the moment thing, and my family is coming with to visit some of the sites and hit New York for a day on the way back. I needed to take some of my tools with me so I thought I’d whip together a box. 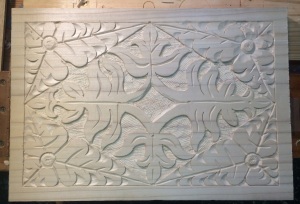 And of course I can’t NOT carve it… especially if I’m going to a carving class. Gotta show off ya know. 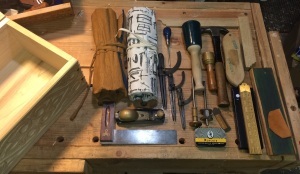 The box is made from Poplar because that’s what I had in the shop at the time. I wish I’d gotten some Alder or Walnut but I didn’t have the money handy or the time. Luckily this was some harder Poplar that usual, and was consistent for the most part. It was also a nice wide board, so I was able to carve the top which I don’t typically do. Top design for the Travel Box. 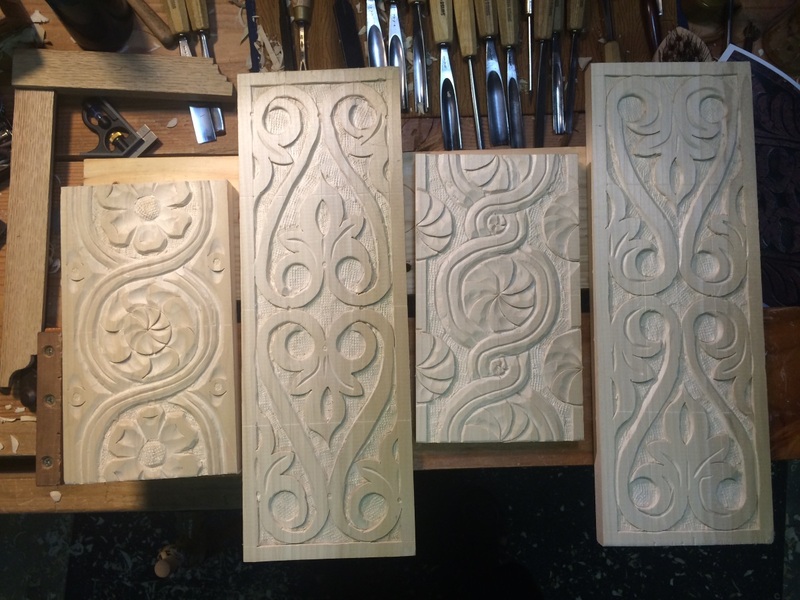 Carved box sides for the Travel Box. For the front and back panels, I used S-Scrolls which I consider to be the swiss army knife of designs, and the sides were variations on the interlaced circles motif. 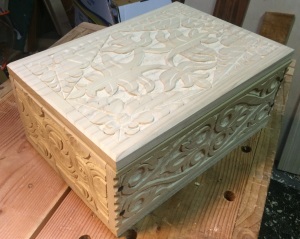 Typically a box of the period would only have the front, and maybe the sides carved but I like to practice layout and carving so I did all surfaces. The Travel Box – Packed. 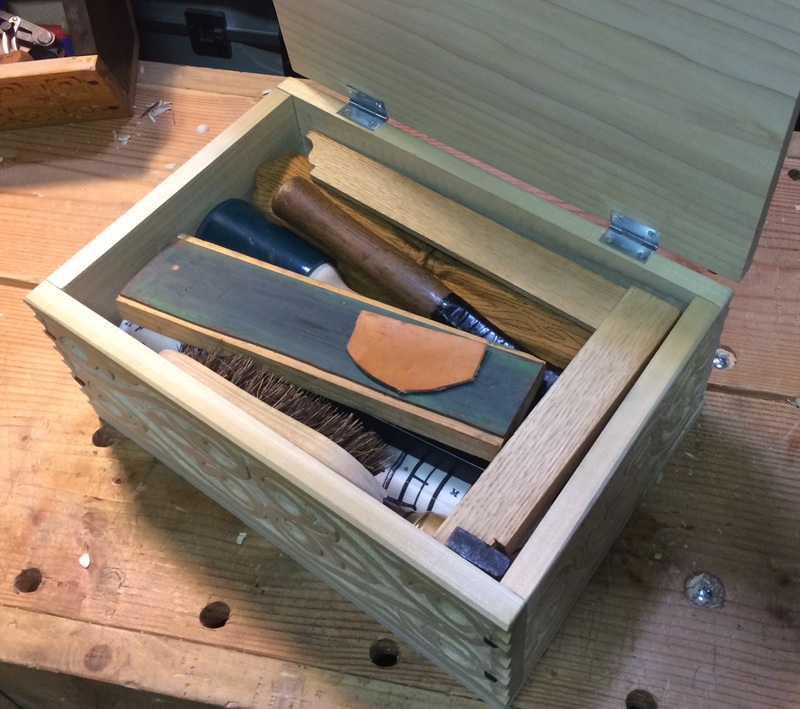 I designed the size of the box to fit in my big suitcase, and to fit my tool rolls full of chisels. I’m going to have borrow some tools when I get there, but I should be ok. The whole kit weighs 27 lbs. I’m pleased with it, especially the top design because that’s a new layout for me. 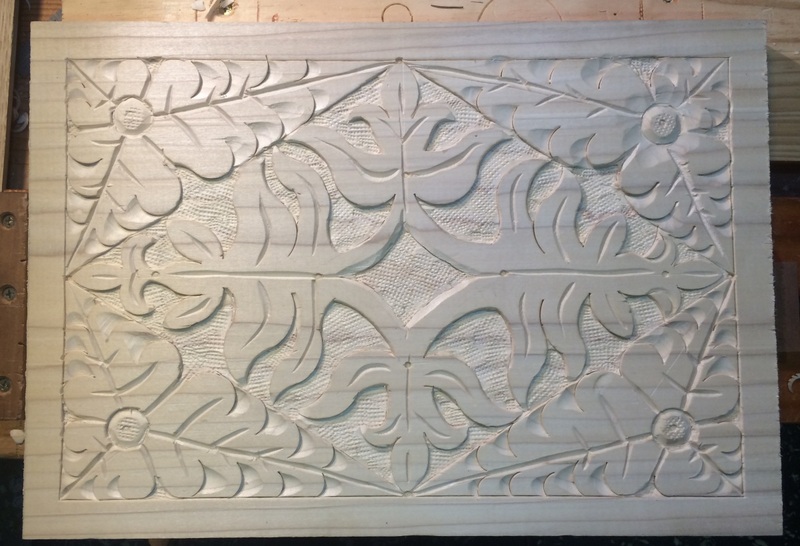 The central design is based on a Thomas Dennis chest panel, and the outside edges I lifted from another panel of the period. My only complaint is the wood, with that awful coloring. I can’t use my normal Shellac top coat without adjusting the color or bleaching the wood. Which will have to wait till I get back. Nice work. I love the top. What are you plans for finishing?